It’s spring time here in NYC, the perfect time to give your space a good deep clean (whether you’re in NYC or not!). Pull the curtains, open the windows, and get some fresh air and light into your home. The goal is to clear out what isn’t adding to your life, fix what needs to be fixed, move some furniture around and give your space a fresh new perspective. Just pick one spot to start and move around your space dealing only with the things you know are going to be donated, sold, trashed, recycled, etc. The idea is to get things out of the home quickly so you can see and feel the change in the space immediately. focus on your immediate decisions. start with the things that are out (in plain site) before digging into closets, cabinets, and drawers. 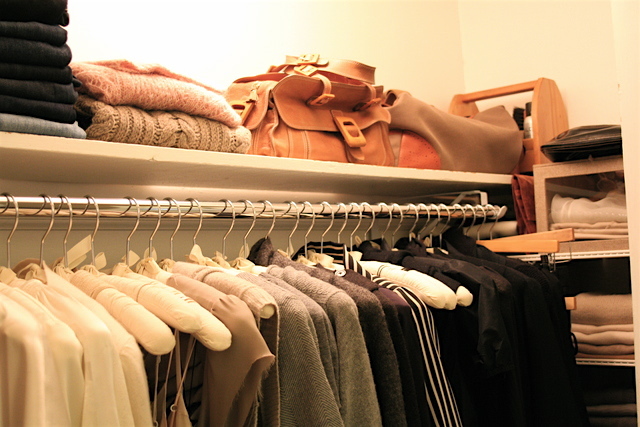 do one area/room/closet/cabinet at a time. clean as you go: vacuum out drawers, wipe down shelves, hinges and tops of doors. clean out the insides of closets completely including baseboards, inside door frame, shelves, and clothes rods. get caught up in decision making (a common mistake! ), if you’re unsure about whether to keep something, just keep it and move on. you can always readdress it at the end. hold onto things for donation until you’re ‘done’. it’s better to make several trips over time than to have too much sitting around clogging the space. move onto another area until you’re finished with the area you started. NOTE: Spring cleaning is yearly maintenance, so if you haven’t gone through my process of completely going through your space, click here and get to work!